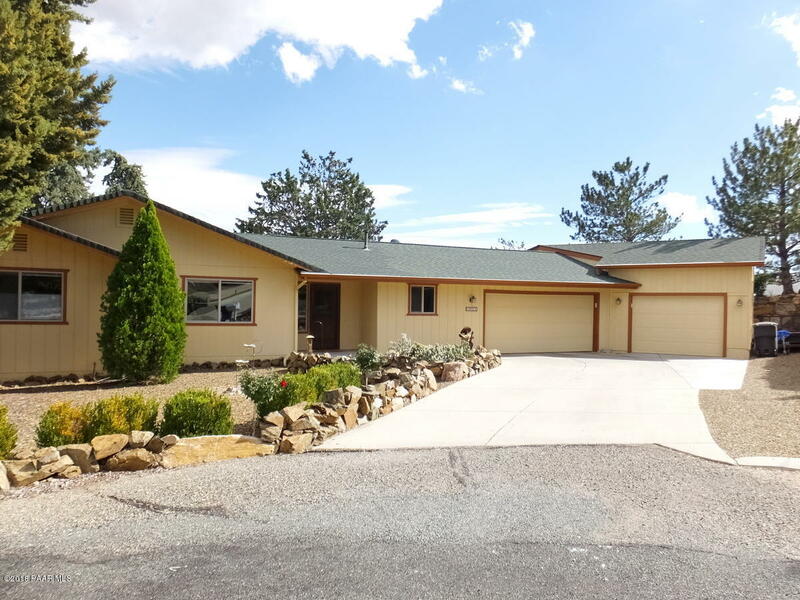 All Prescott Country Club homes currently listed for sale in Dewey-humboldt as of 04/23/2019 are shown below. You can change the search criteria at any time by pressing the 'Change Search' button below. "Perched atop a beautiful lot, this almost brand-new home offers sweeping panoramic views, in virtually every direction and is ALL ONE LEVEL! Located on an oversized lot, this home has outstanding curb appeal and has been very gently used. 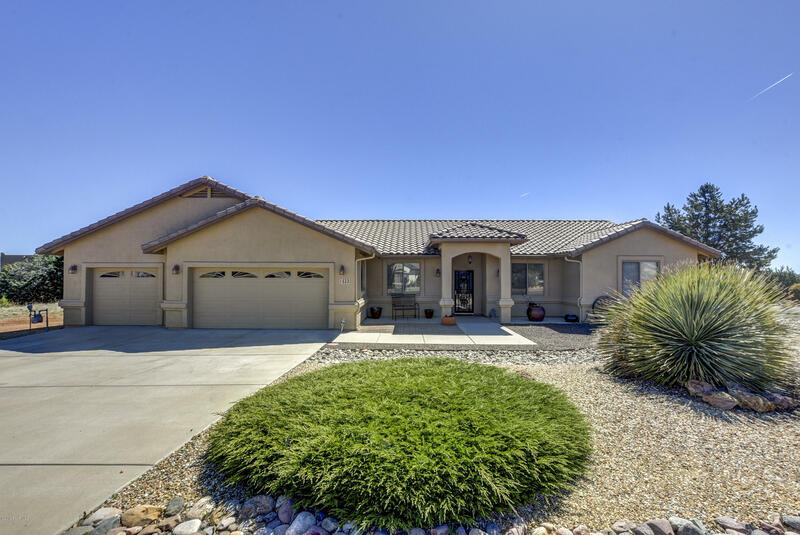 Attributes include paver driveway & walkways, stack stone accents, beautiful stucco finish and outstanding pride in ownership. Interior of home has exposed wood beams, with additional stacked stone around the base, surrounding the formal living room upon entry." "Fantastic corner lot location! 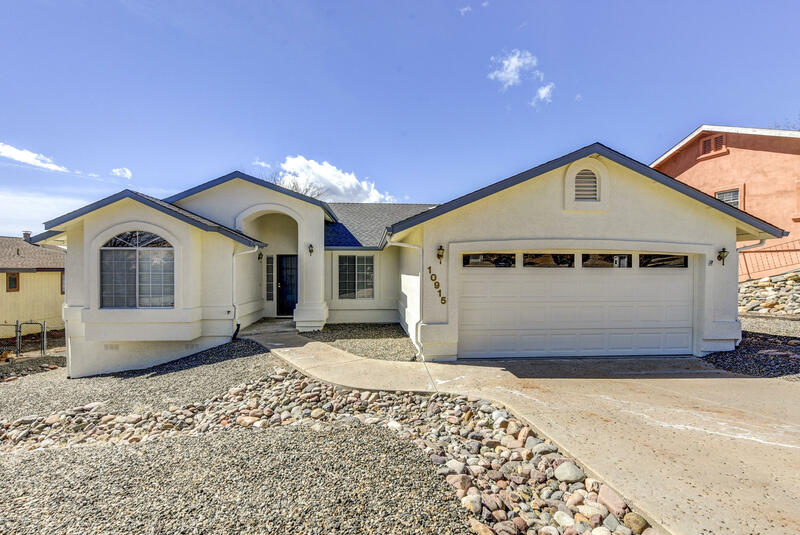 This home features views of the mountains and is on a small cul-de-sac. The home features a large great room with a gas fireplace, 34bedrooms, 2 baths, and a formal dining room. There is also a wonderful covered back patio to enjoy the surrounding views and the occasional wildlife strolling by. 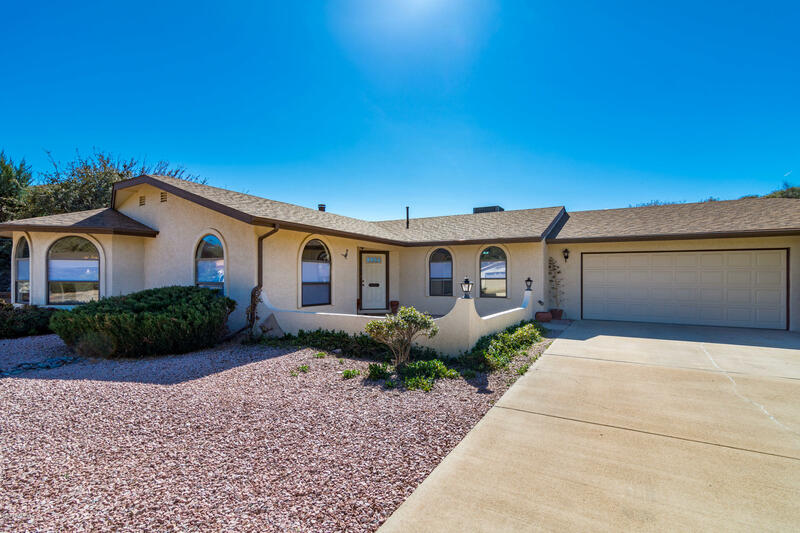 The home offers a split bedroom floor plan and also features vaulted ceilings. It also features stainless steel appliances, along with a eat-in kitchen. 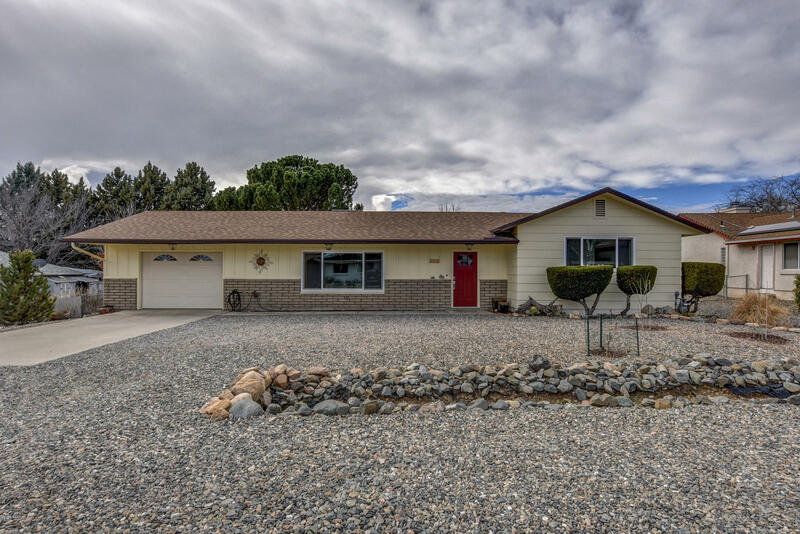 The 3 car gara"
"Well maintained Prescott Country Club home offers 2 bedrooms and 2 baths. A large den/office is a potential third bedroom, it features a double door entry, French door to the front porch, and handy built-in cabinets and bookshelves. Generous great room: Tiled gas fireplace with hearth, a large single-compartment entertainment niche, vaulted ceiling, and plenty of natural light. Open and inviting kitchen has an efficient layout, a skylight, and an adjacent dining area. Large master bedroom with b"
"You will love the charm this home offers. Enjoy the back yard while deer roam just on the other side of your fence. 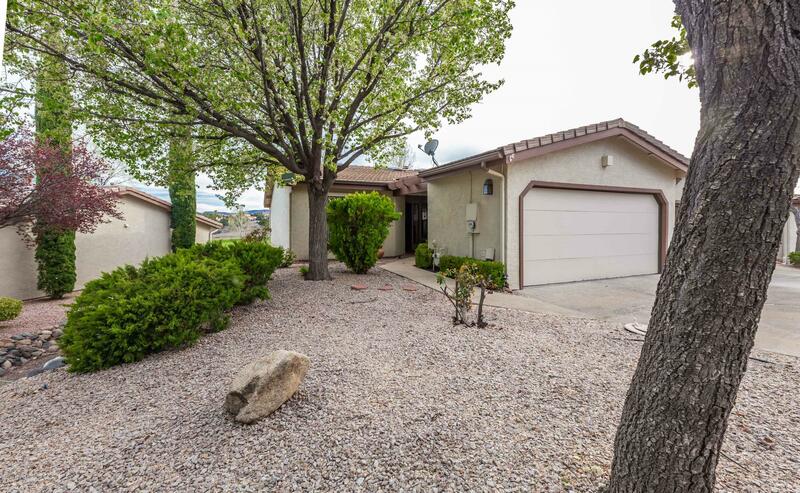 Beautiful 3 bedroom, 2 bath home with plenty of storage situated on a cul-de-sac. Mature landscaping and an Arizona room top this one off. This is a must see!" 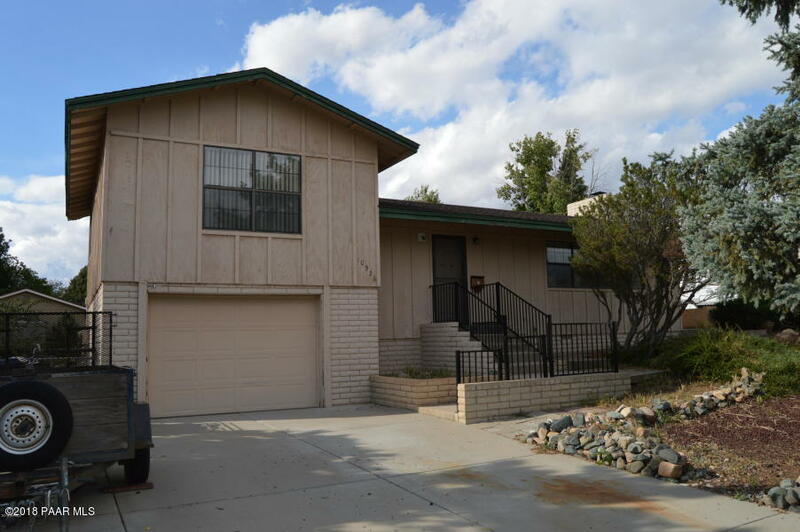 "TIDY MODEST HOME in the high demand area of Prescott Country Club. New construction ready for immediate move-in and closing. Dual masters with an additional computer area. Vaulted ceiling in Great Room w/fireplace. Excellent kitchen w/Quartz countertops, tile backsplash and under-cabinet lighting. 4-Burner GE stainless steel gas range/oven w/griddle. Vinyl oak-plank flooring and upgraded carpeting in bdrms. RV PARKING ON LOT! Mtn Views from backyard. 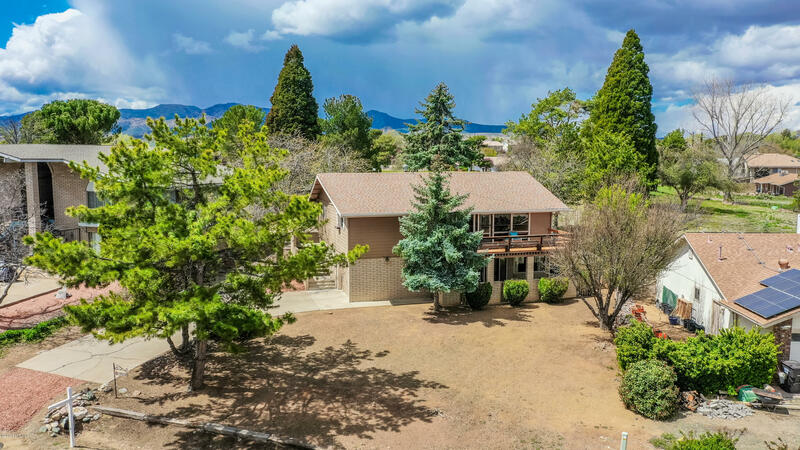 HOA building for yoga and other homeowner "
"Welcome to this fantastic home in the beautiful Prescott Country Club. From the stunning views on the brand new deck, to the perfect situation at the end of a quiet dead end street, this is the ideal place for a family looking to put down roots, or a great opportunity for someone looking for an investment. 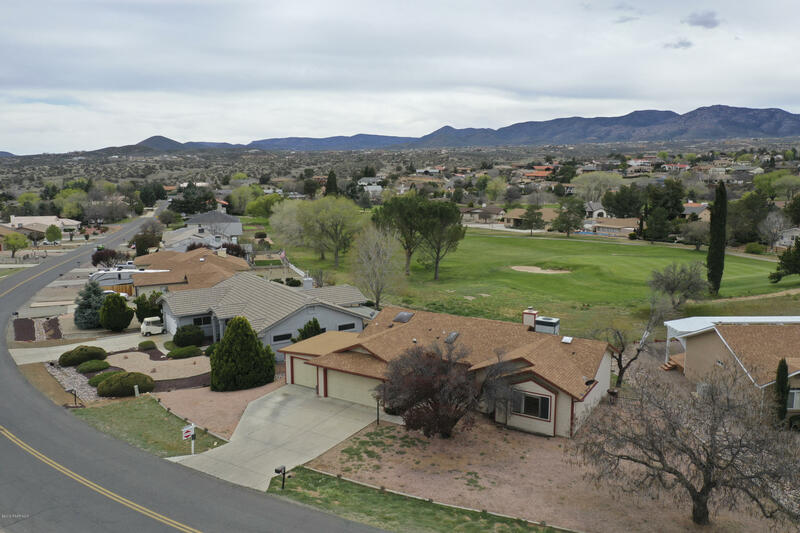 The desirable Prescott Country Club neighborhood is the best of all worlds. 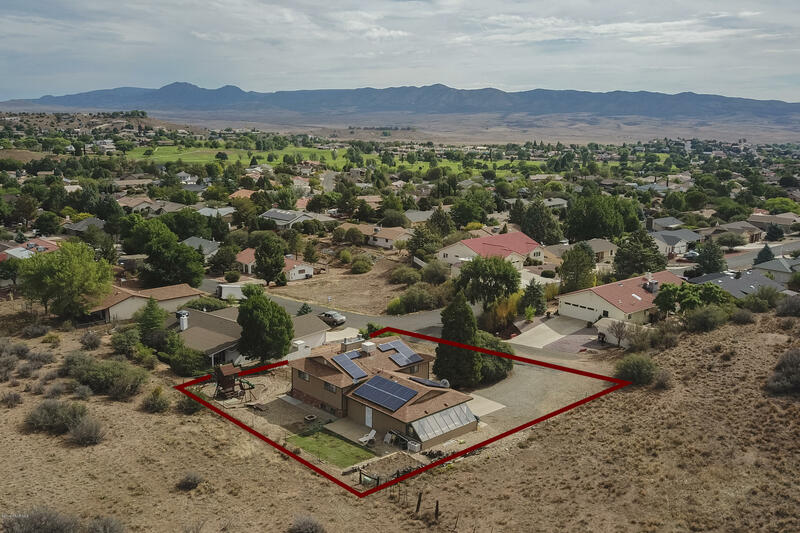 Close to everything, yet quiet and secure with that open country feel; the neighborhood has ultra low HOA fees and g"
"Wonderful custom home in desirable Prescott Country Club on cul-de-sac, near club house/golf course. Mature landscaping. Nice views. Great street presence. High ceilings & open floor plan. Upstairs living room with fans, built-ins, & gas fireplace. Sliding door to covered deck & gas BBQ. Master & bath on main floor with built-ins, gas fireplace, and door to deck. 1/2 bath for guests. Bedrooms 2 & 3 with mirrored closets on lower level (basically a split) with full bath and living room. " "Unique home in Country Club right off of the 16th hole. This is not your every day run-of-the-mill cookie cutter home. Perfect upstairs/downstairs set up for income property, in law suite, or for those adult children who have returned to the nest! It's like having two houses in one! The primary upstairs residence boasts two amazing outdoor living spaces. 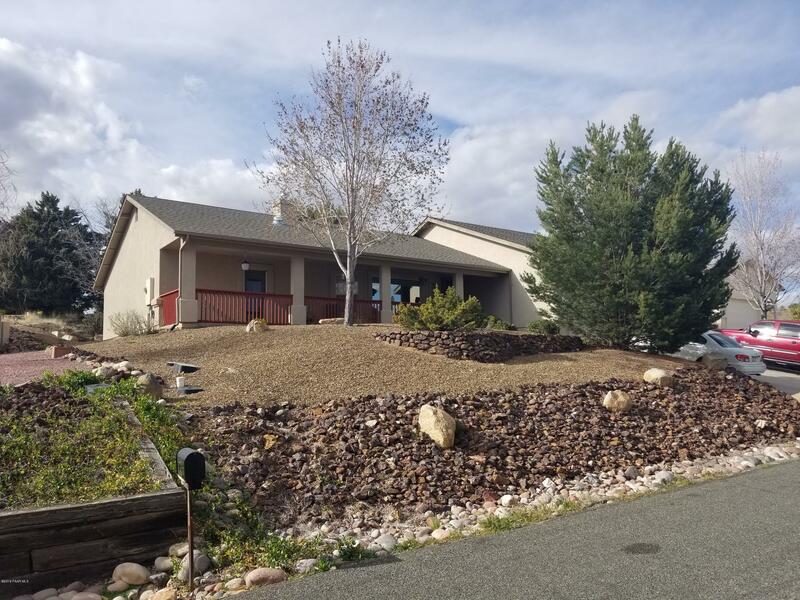 The entrance faces the golf course with an ideal area to sip your coffee in the morning or take in a magnificent sunset with friends on the"
"Beautifully maintained single level home in the established golf course community of Prescott Country Club. This nicely updated home welcomes you in right from the start with a foyer featuring 20'' tile and great room with wood laminate which is open to the dining area. Remodeled kitchen highlights maple cabinetry and granite counters and an open pass through for convenience. Just off the dining area is a tiled family room for fun and relaxation, with lots of windows overlooking the nature fi"
"Oh my Gosh...This is the one! 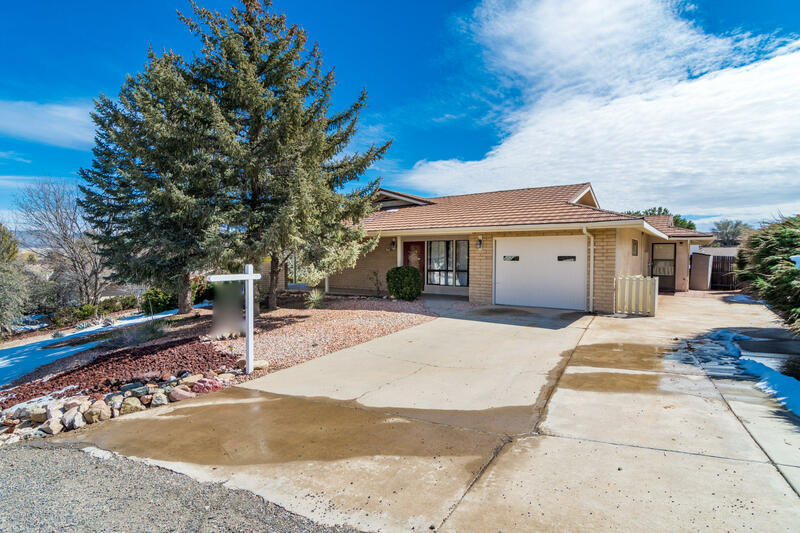 Awesome 3 Bed 2 bath home in the desirable Prescott Country Club. You will want to schedule an appointment today! Kitchen...Laundry Room....Beautiful wood looking tile! Fenced back yard with covered patio." 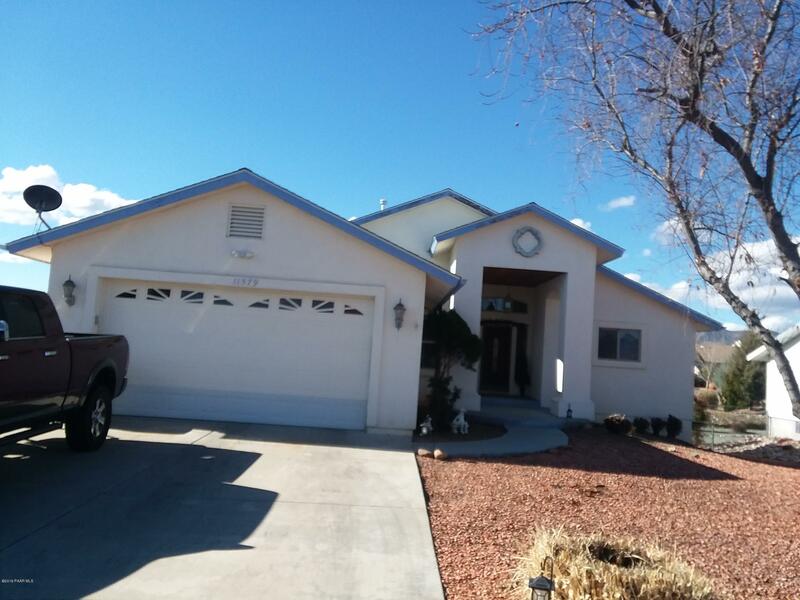 "Ready For A New Name On The Mailbox3 Bedrooms, 2.0 Baths, Formal Living &. Dining Room, Family Room With Gas Fireplace, Large Open Kitchen- Breakfast Area -Vaulted Ceilings- Fabulous Deck On The Back - Great Views Of The Mountains- Approx. 1702 Sq Feet .Built In 1994." "GORGEOUS REMODEL in the prized community of Prescott Country Club. This 1,296 square foot, 2 bedroom/2 bath beauty is solidly constructed and has been remodeled - from a reconfigured floorplan that maximizes the living space to a huge number of modern upgrades and design elements that are both practical and visually pleasing. 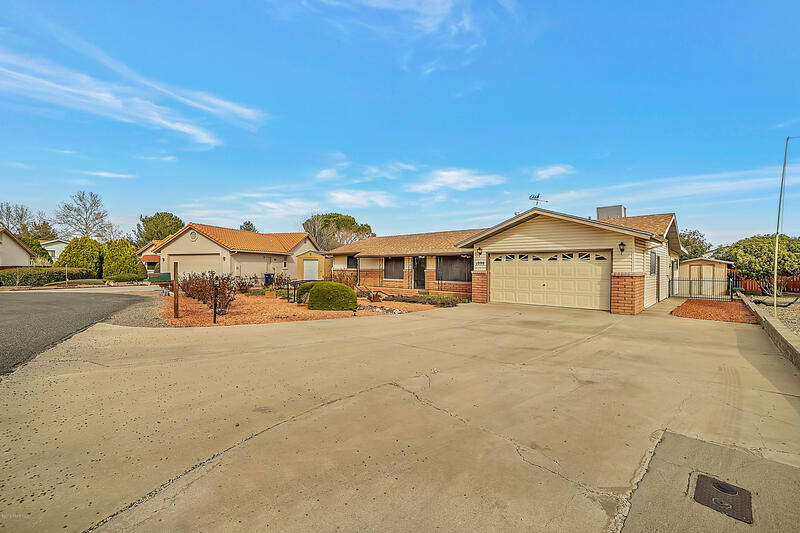 You'll be greeted by nice curb appeal, with cleanly renovated, easy care landscaping, a custom security door, and a covered porch swing that's a charming spot to relax. " "If pride of ownership and move-in-ready is what you have been looking for with open spaces in your backyard, then look no further. 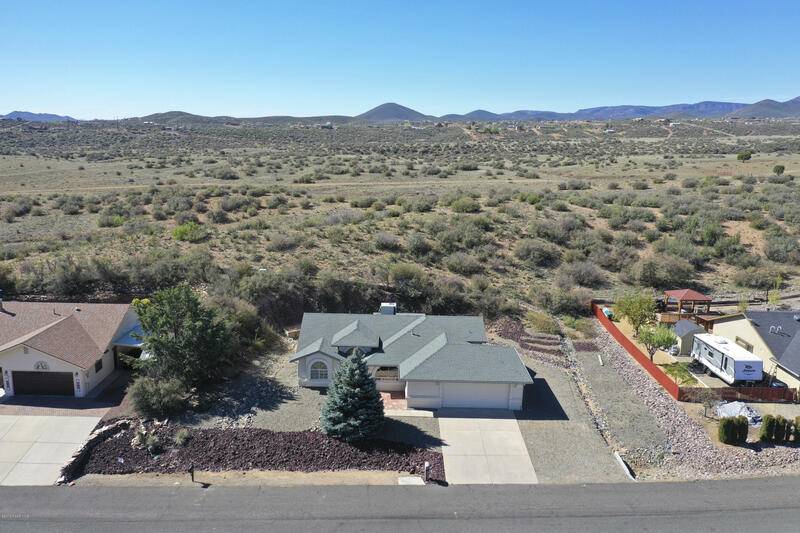 This home is situated on one of the few lots that backs to the open private land providing that privacy and peace that is so hard to find. The interior of the home is immaculately kept, completely turn-key and provides a great canvas for upgrades if desired. The floor plan is a two bedroom split with 2 full sized bathrooms, great sized rooms, two living rooms that ar"
"If you have been looking for a home in the Prescott Country Club that sits on a lot with a view that captures the grasslands of Prescott Valley and the Mingus Mountain range and is nestled on a quiet street, then look no further. This two bedroom, two bath home is completely move in ready with a pride of ownership that is hard to find. The kitchen has tons of counter space, cabinets, a view from the sink and open up to the living room so you can stay part of the entertainment. The living room is"
"Fantastic golf course location ! 3 Bedroom home with 1.75 Bath , fireplace, large great room and a fantastic garage with lots of storage. The mountain views from the home are simply magnificent. The garage is a 3 car garage with a built in office space that could be removed for a full 3 car garage space. As it sits it is a 2 + garage with the office into the garage space. This home is an excellent opportunity for someone to put their very own stamp on it. Come see today!" 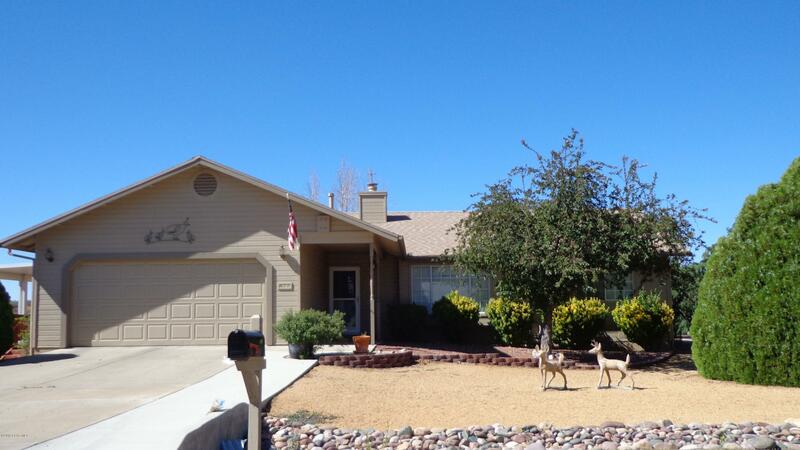 "Cute and cozy with contemporary touches, well maintained home in the Prescott Country Club. 2 large bedrooms. Large living room/kitchen/sun or family room. Family room has wood burning stove for snuggling on those winter nights. Beautiful new windows in bedrooms and living room. New front door. New ceiling fans & light fixtures, new inside paint, new stainless appliances. Nest Temperature control system. 1.5 car garage with loads of storage. The backyard is a gardener's delight with fruit trees,"
"Great property located on the fence line! This offers wonderful privacy and peaceful evenings! The property features wood flooring as well as carpet in the bedroom areas. There is a fantastic great room and an open kitchen with a breakfast nook. There is a screened in Arizona Room on the back side. The garage is an oversized 2 car garage and there is also a fantastic space for RV parking on the right side of the garage. 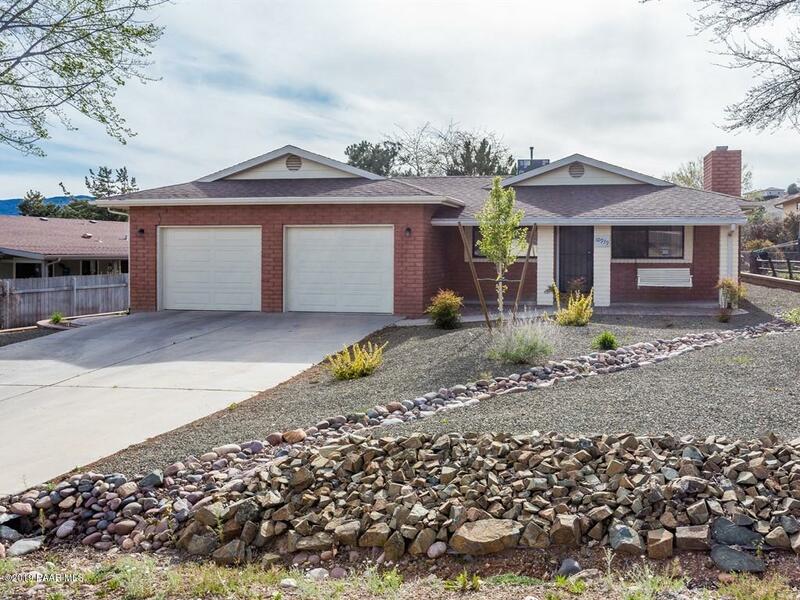 The property features low maintenance landscaping and also features a"
"This well-built slump block home nestled on a very quiet street in the much sought-after Prescott Country Club is what living here is all about. You can tinker to your heart's desire in the workshop or spend time in your large shed rearranging your belongings. The floor plan blends well for entertaining your special guests, either indoors or al fresco, where a secluded private yard awaits you. With minimal sweat equity this property will be your dream home." "This is the perfect Country Club starter home! 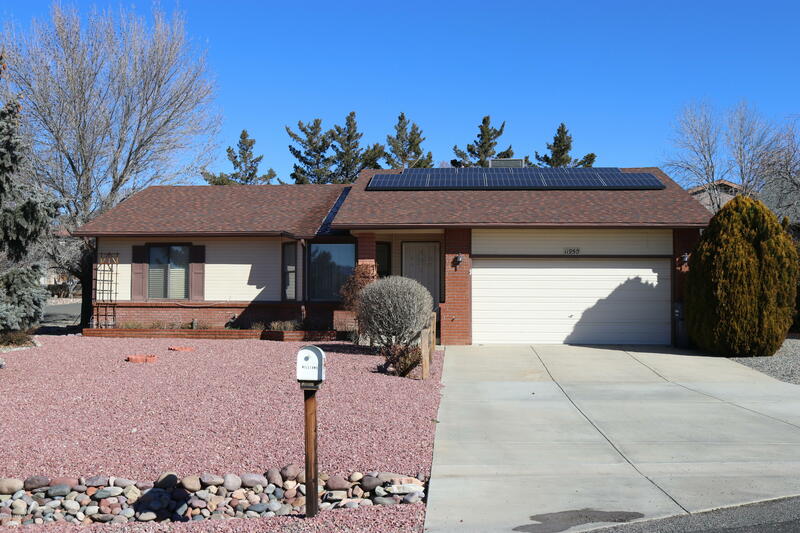 This split level 1,200 square foot home has 2 bedrooms, 1.5 bath home also has an oversized 1 car garage which is 28' deep. The nice sized kitchen overlooks the dining room/large living room. The large custom built fireplace gives this home additional touches of a home in the mountains. 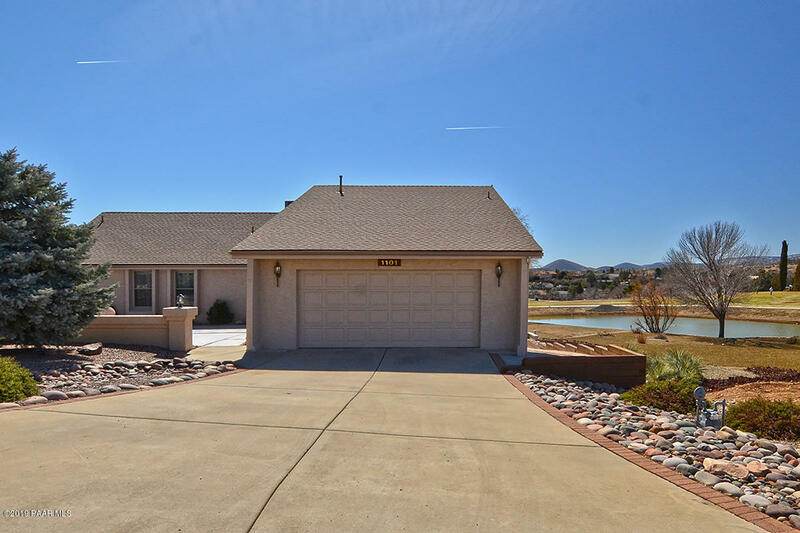 This golf community is located just a short distance to Prescott Valley." 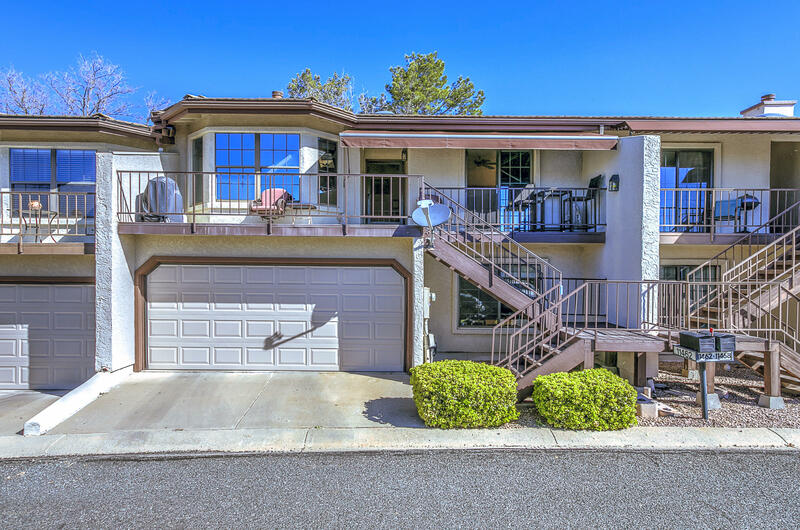 "Single level Townhome- Corner lot overlooking the Bradshaw Mountain range and the 18th fairway! This charming 2 bd, 1.75 ba offers many fine features such as vaulted, beamed ceiling, skylights, gas fireplace, plenty of cabinet and counter space in the kitchen, including a breakfast bar. 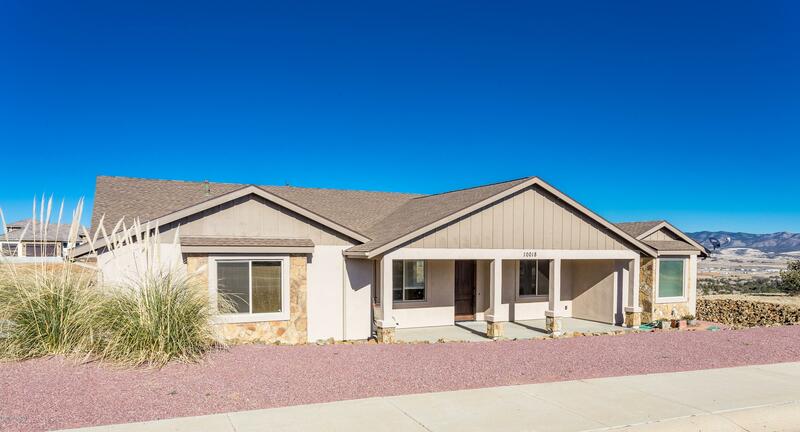 Split bedroom floor plan, Murphy bed in guest room, lots of closet space, laundry closet, screened in patio to take in the Views... 1.5 car garage (room for your golf cart!) Just around the corner from the Clubho"
"Delightful Townhome Living - This home features high ceilings, cozy gas fireplace in the great room, open layout, plus good counter and cabinet space in the kitchen. Home has fresh interior paint and new carpets. On the main level there are two bedrooms and two baths. The master suite has two closets, walk-in shower, dual sinks, and skylight. The second bedroom is spacious with walk-in closet. The lower level has a third bedroom with closet and half bath. 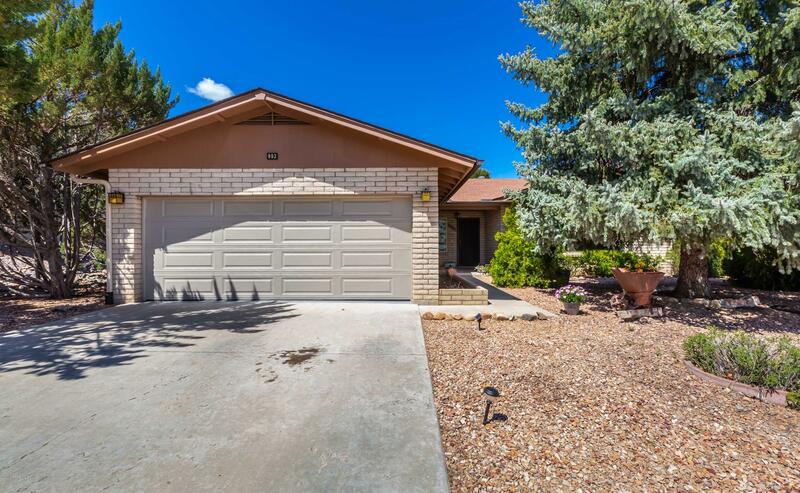 The 2-car garage is extra deep and has a"
"Very Nice Mountain View Prescott Country Club Townhome! 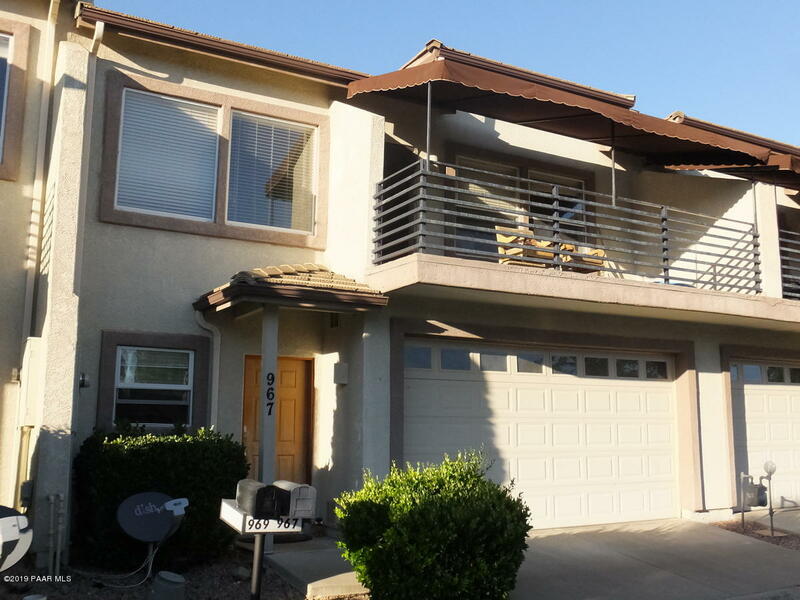 1543 SqFt, 3BD/2.75BA/ 1 + Car Garage w/Storage Room. Sunny Great Room w/Tiled Fireplace, Big View Windows, Carpet Flooring, Ceiling Fan, Vaulted Ceiling with Wood Beams & Skylights. Kitchen has Newer Stainless Appliances + Refrigerator, Oak Cabinetry, Garden Window, Laminate Counters, Pot Shelves, Tile Flooring & Under Counter Lighting. Upper Floor Master BD w/Sliding Door to Front View Patio, Mirrored Sliding Closet Doors, Carpet Floorin"